This book presents an in-depth exploration of the three most fascinating questions of contemporary science: the origin of the universe, the emergence of life and the appearance of our species. Research into these three origins does not just push the boundaries of scientific knowledge, it transcends them, overflowing into other fields of culture and thought. 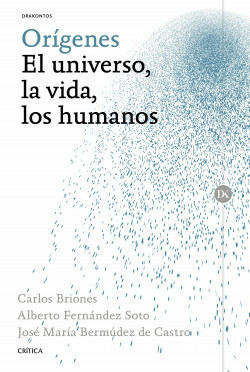 In this strikingly interdisciplinary book each section has been written by an expert with the relevant expertise: a cosmologist, a biochemist and a paleoanthropologist. The book thus fills a void in scientific literature and is bound to be welcomed by a wide variety of readers. The accessible but rigorous texts cover the latest developments in each field and are complemented by a large number of evocative illustrations. The key events of the formation of the universe, the appearance of life and the rise of man.